It has been said: Giant Stones. “The evidence for the supposed builder of the Great Pyramid is as poor as the evidence for the supposed builders of the pyramids of Khafre, Menkaure, and the Red and Bent Pyramids of Sneferu in the Dashur group. John Anthony West writes on the Pyramid of Khafre:” Giant Stones. Chris L Lesley: How many times must we hear there are no inscriptons that tell us how the pyramids were built? How many times must we hear there are no inscriptions reliefs in heiroglyphs in any of the “pyramids” that detail their construction. Actually this is true, however the blueprints of how the pyramids were built are not in the inscriptions of any of the pyramids. How they were built is muraled on the walls of the “TOMB OF REKHMIRE”. Once you understand that mankind was NOT primative, but more advanced than we are today, and that mankind is bigger,better, faster, stronger and smarter in the past there are no mysteries. How were giant stones moved without dragmarks, left over ramp material, without space aliens??? . . . they were carried by giants! This is the history of Egypt, and many will not like it. Many have depicted and surmised large cranes on the corners of the pyramids. The tomb of Rekhmire depicts a very different type of crane. Remove government and mainstream academics from your way of thinking. Collectivism never leads to the truth. 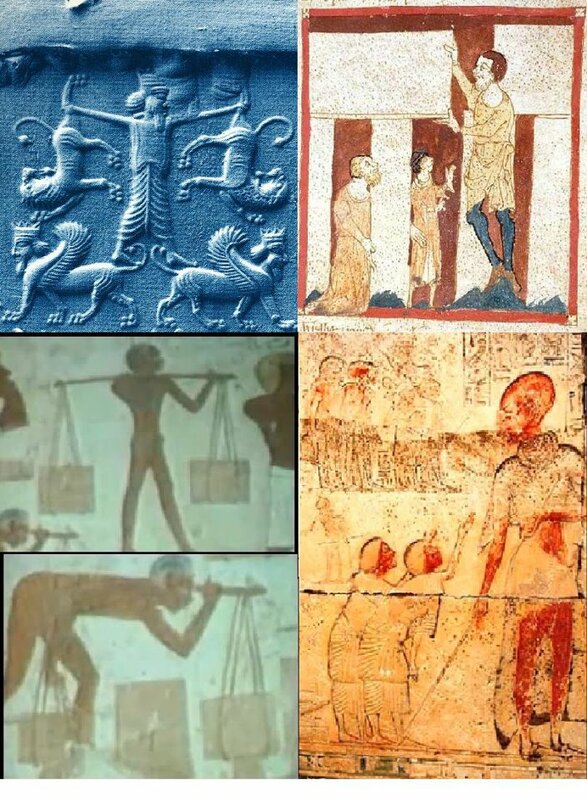 Megalithic stones were moved by the greater ancestors and a humanoid/angellic hybrid known a the “great-giants”, titans in some circles, these are the fathers of the Nephilim, the first generation of Watcher-offspring. Giant Stones. I hope you like the information presented here, we would like to share more about these types of discoveries. If you would like me to come speak to you church, college, or forum contact me at greaterancestors@yahoo.com. I am a Naturopathic Physician and from a religious sand point a Priest in the Greco-Russo-romano Byzantine Catholic Church, Shaman in the Native American Church, a Messianic Rabbi, and 6th degree black belt in both Chinese and Korean Martial arts. My Medical back ground is more extensive. I await the King’s return, and I am very interested in the History of the Watchers. They are as busy as ever. Again i thank you for all this valuable info, this is what school should be teaching this is important, what is CERN really trying to do? ?